What is the NBA Live Mobile game? NBA Live Mobile is a series of basketball video games published by EA Sports for iOS and Android devices. 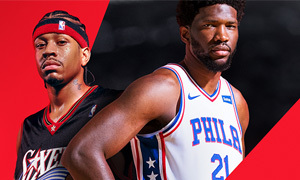 NBA Live Mobile is the mobile phone edition of NBA Live franchise. Experience fast plays and beat opponents in Head-to-Head matches. Make your name on the leaderboards, collecting solid rewards to improve team performance. It's the best choice for basketball fans to add another choice on basketball video game. What can NBA Live Mobile Coins be used for? The NBA Live Mobile Coins can be used to buy legendary players, and build your dream team easily in NBA Live Mobile of EA Sports game. How can game players get NBA Live Mobile Coins? 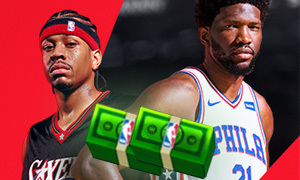 NBA Live Mobile Coins isn't free in-game, you need to win match to earn NBA Live Mobile Coins. Always online to get daily event information and always ready with ball. 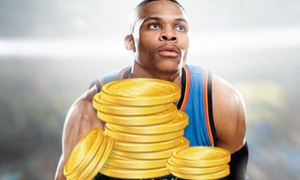 Besides, you can buy NBA Live Mobile Coins and NBA Live Mobile Accounts from our online store (Joymmo.com).